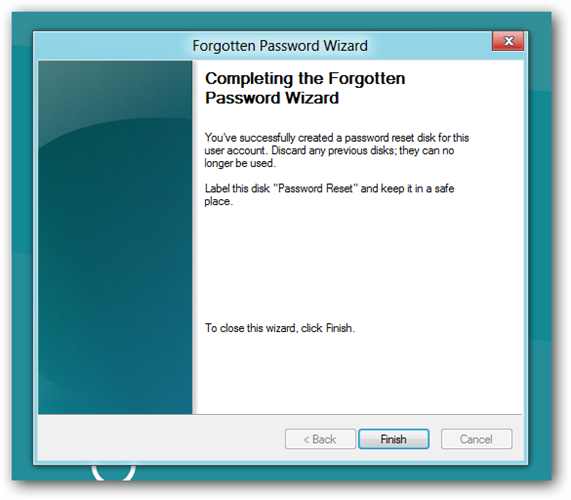 Forgetting your password can be very frustrating, however this situation could be completely alleviated if you always had a password reset disk handy. Lets see how we can create one in Windows 8 or Windows 10. Note: This will only work for local user accounts, if you chose to sign in with a Live ID, you will have to reset your password using an alternative method. If you are using Windows 8 or 10, you’ll need to open the old Control Panel using the search, and then drill down into User Accounts. Alternatively you can use the search from the Start Menu or Start Screen to find User Accounts. 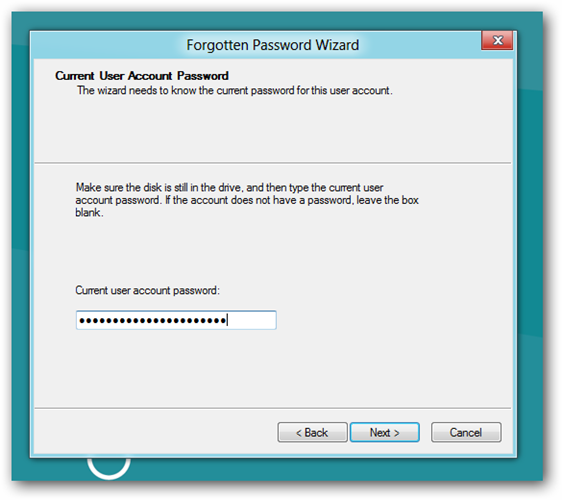 This will take you to the User Accounts section of the old control panel that we showed earlier. 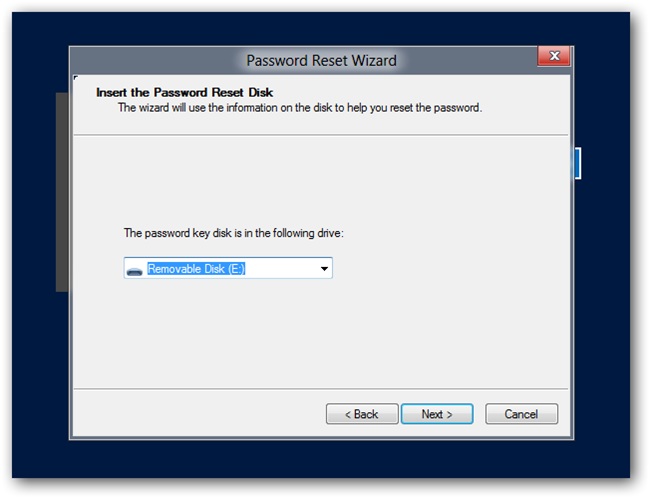 Here, you can select the link to “Create a password reset disk”. 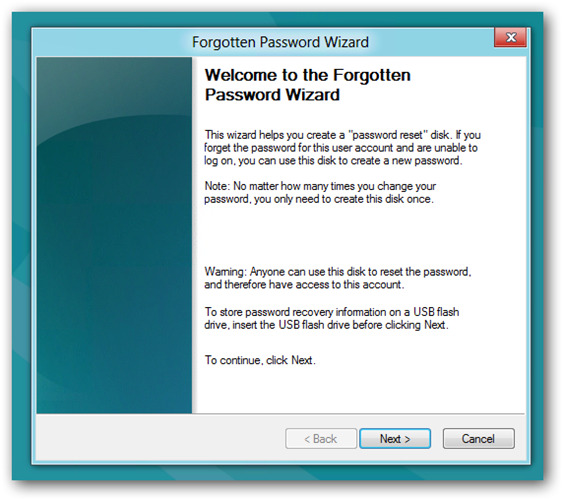 You will be greeted with a Wizard, make sure that your USB is inserted before clicking next. 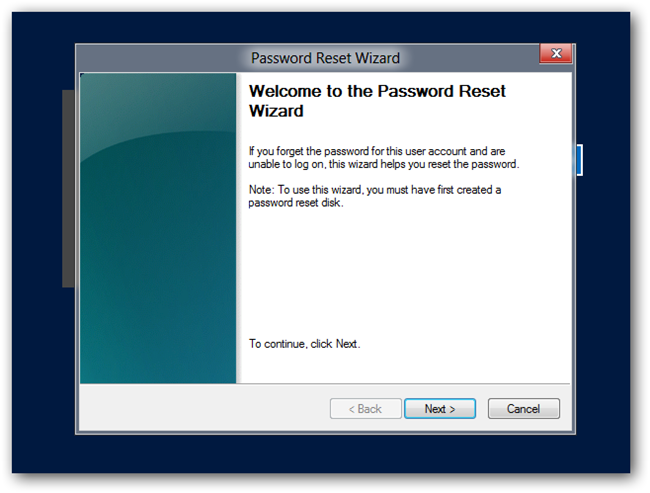 Now you can select the USB that you want to create the password key on, then click next. 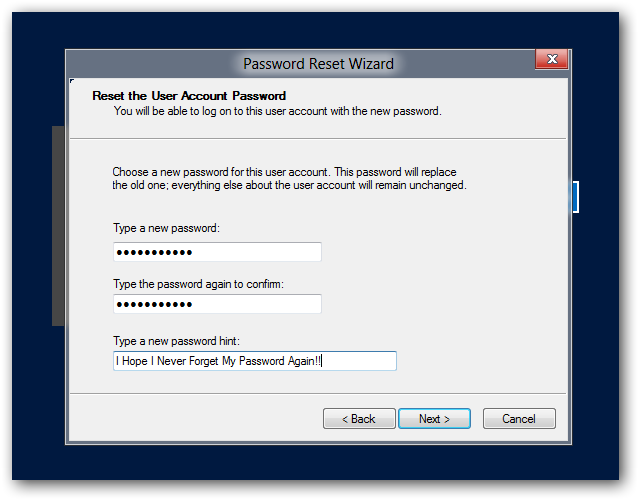 You will then be asked for your current Windows password. 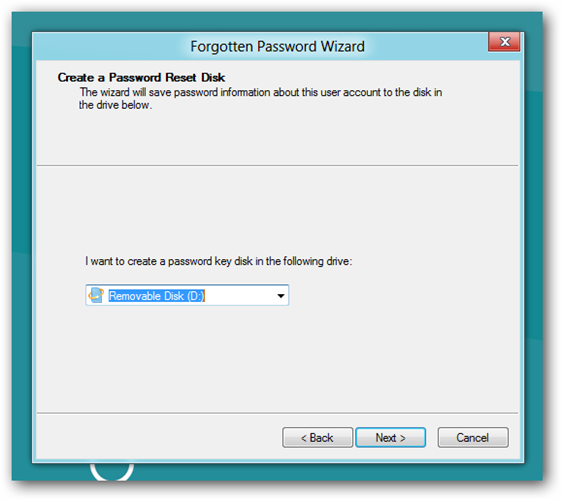 That’s all there is to creating a a reset disk, since anyone could use this to gain access to you machine you will need to store it in a safe place. 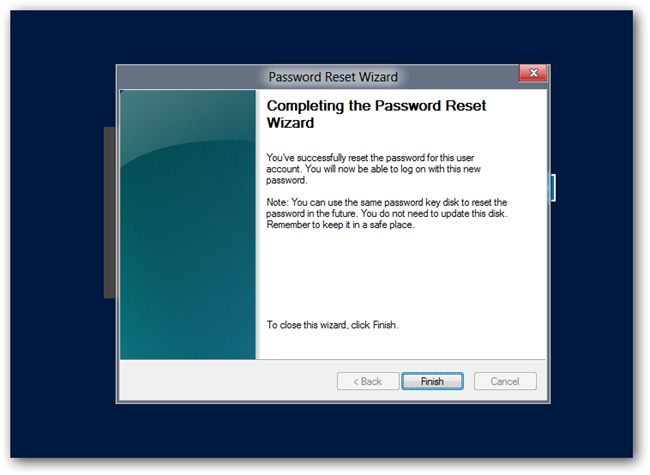 Once you have a password reset disk, you can use it easily the next time you forget your password… once you’ve typed the wrong password Windows 8 or 10 will show a “Reset password” link below the login box. 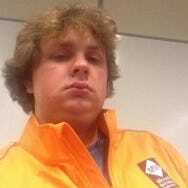 At this point you should have your USB already plugged in, so go ahead and hit the Reset password button, this will kick off a wizard, click next to continue. You’ll want to pick the right disk if you have more than one. 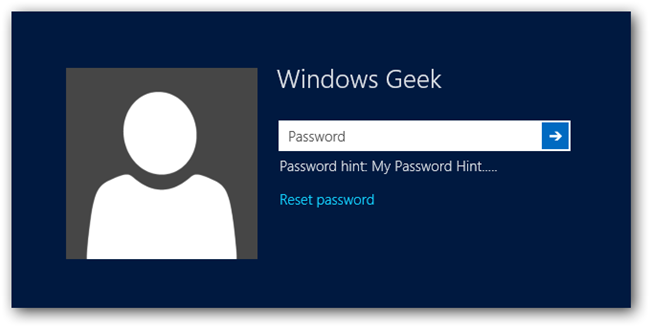 Now you will need to type a new password, and of course a new hint for your password. Now you can store the USB key somewhere safe, so that next time you forget your password you have it handy.